One of the things about creating a web site is having to keep it up-to-date as changes happen. In the case of my PenguinTutor web site that is the changes in Linux and the Raspberry Pi over the last few years. In particular a new release of Raspbian was created last year (based on Debian Stretch) and the latest Raspberry Pi (Raspberry Pi 3B+) was released recently. I’ve now updated the Linux Tutorials and Raspberry Pi guides to reflect those changes. I’ve also taken the opportunity to add some new material including an overview of computer networking and a basic introduction to running Samba on the Raspberry Pi. 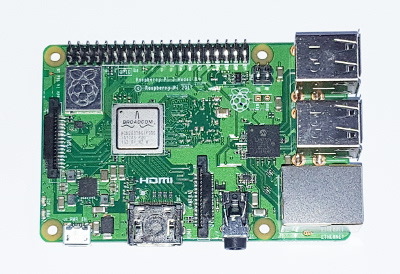 I’ve also added a photo of the latest version of the Raspberry Pi. I still need to review the LPI practice exams (I do try and review them fairly frequently, but it is due another revision) and as a historical record the blog pages won’t necessarily get updated (although I do sometimes add updates where necessary). But for now most of the pages should be up-to-date. This entry was posted on Tuesday, March 27th, 2018 and is filed under Computers, General, Linux, RaspberryPi. You can follow any responses to this entry through the RSS 2.0 feed. Both comments and pings are currently closed.